Our brushes are made with the highest quality Dupont synthetic blend Filaments that are on the market today. They can be suspended in water just like Cling On and are made right here in the Good Ole USA! These are the best brushes I’ve used. My go to is the flat medium and the mini. The oval medium is a good one as well. They don’t leave brush strokes and they don’t shed. You won’t regret purchasing these! 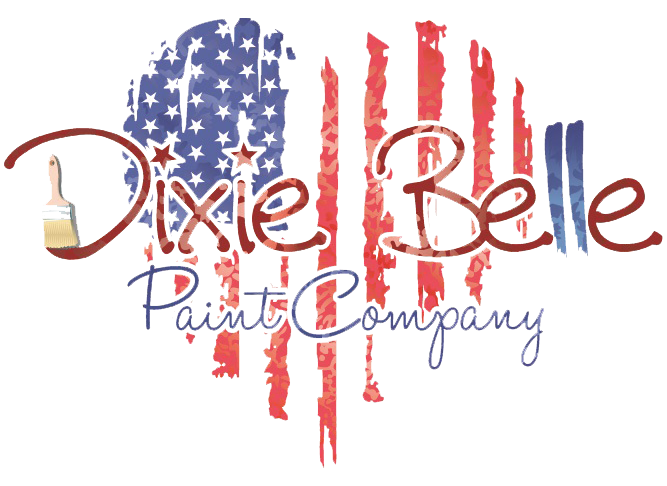 The Dixie Belle brushes are a great quality! Love using them just as much as the cling ons when we had those. A partner recently did a dresser using them and love how there's no brush marks! Love that there's no shedding of the bristles. These brushes are great!! Didn't experience any shedding and paint went on very smooth! I am loving the new paint brushes! Oh boy how I love these brushes. Used a medium flat and round. Dipped into my DB paint and it was like a perfect match. Super smooth stroke across the bar top I’m painting in Drop Cloth. Picked up just enough paint and when I drained against the side of the jar the brisles on the brush just stayed together. If you paint a lot you know what I mean. No strays going different directions. Washed up great and dried great. Worth the money spent these will last a while. My customers will love them!